Pingers are smaller and less powerful than sea scarers. 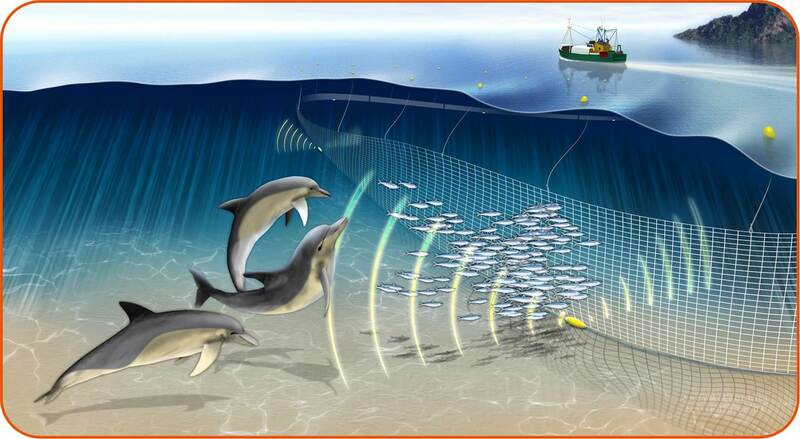 Collectively, these are called Acoustic Mitigation Devices (AMDs) or Acoustic Deterrent Devices (ADDs). OSC supplies high performance pingers with an output that meets regulation (EC) 812/2004. If there are any specific mitigation requirements stated in licences/permits or by government authorities, we can calculate the optimal number of pingers. These devices operate continuously (i.e. no need to activate in the field), typically for around 2 years’ on a single C-cell battery, which can be changed easily. These pingers are small, light, brightly coloured, and have a durable carrier with attachment points on either end, so they are easy for field personnel to deploy. In field studies, these pingers have proved >80% effective at excluding harbour porpoises, the species that most authorities are concerned about, but these pingers also exclude dolphins. The German Bundesamt für Seeschifffahrt und Hydrographie (German Federal Maritime and Hydrographic Agency, BSH) authority’s standards are arguably the strictest in Europe, so OSC tends to use their mitigation requirements as a benchmark, and these pingers are compliant. 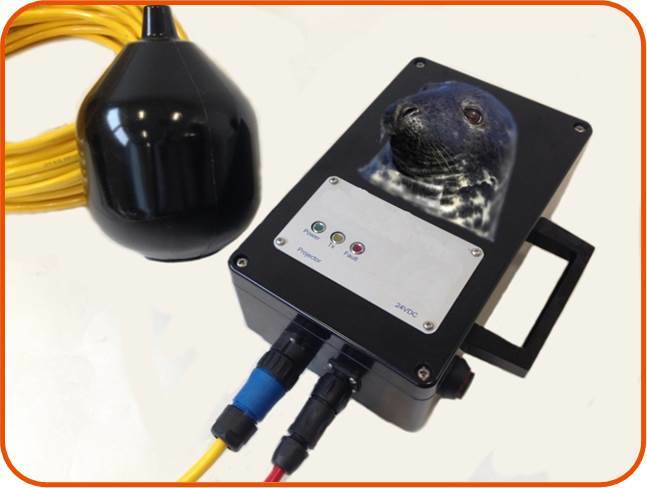 OSC can supply two types of ADD: (1) seal scarer, designed specifically to deter pinnipeds; and, (2) marine mammal ADD, used currently in a mitigation context to deter porpoises (and other marine mammals, such as seals). Both systems are available, are easy to install and operate, and comprise a sound projector (wet-end) on a long cable, and a battery and control device top-side, to facilitate deployment from a rig/platform or support vessel. The battery can be drained completely, or topped up (charged) between piles/acoustic operations. Both are state-of-the-art technology and also comply with the German BSH standards. Why do I need to deter marine mammals? Conductor driving during drilling projects or pile driving noise emitted during offshore wind farm construction can potentially harm marine mammals. The use of pingers is often recommended, but in Germany, the use of seal scarers during offshore windfarm construction is mandatory.